We are Gun Safes Moving Company specialize in moving Safes and Vaults, hard difficult stuff. We are safe moving company serving the communities all over Northern California based in San Jose with a focus on Bay Area. 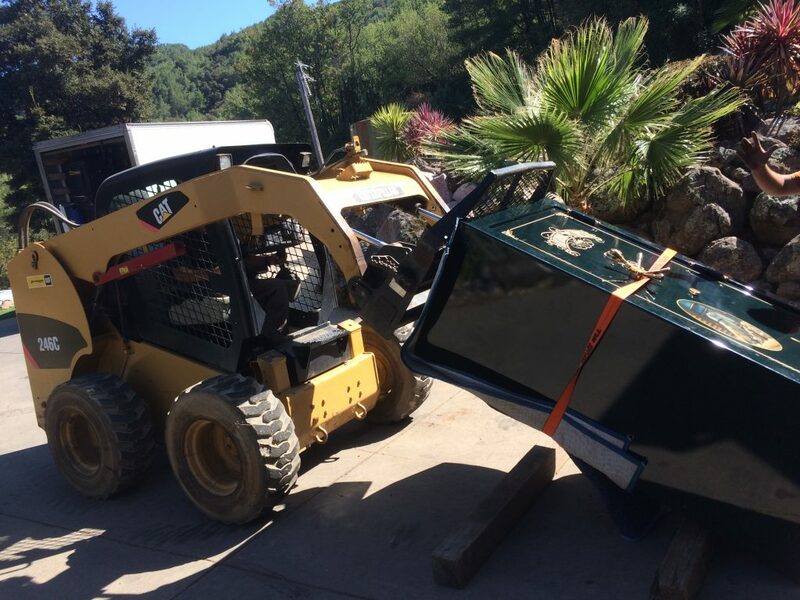 We work with the residential safes but we also work Business Owners in moving heavy equipment . We move all Ware house work or machinery. We move safes for the public, hospitals, casinos, office buildings, warehouse, police officers, DVM, Army, Navy, Coast Guard, Army, Firemen. We provide our service with the best price. We have moved Safes for the Government and many city hall buildings. We have moved thousands of heavy safes up or down stairs. We can handle all kinds of difficult moves. Hoisting is just a bonus for what we do. Other moving companies all around the SF Bay Area use us to move the hard stuff. We move anything Heavy so why not give us a call ! Call us 408-887-1248 to see if we do your coverage area. All kinds of machinery or machines. 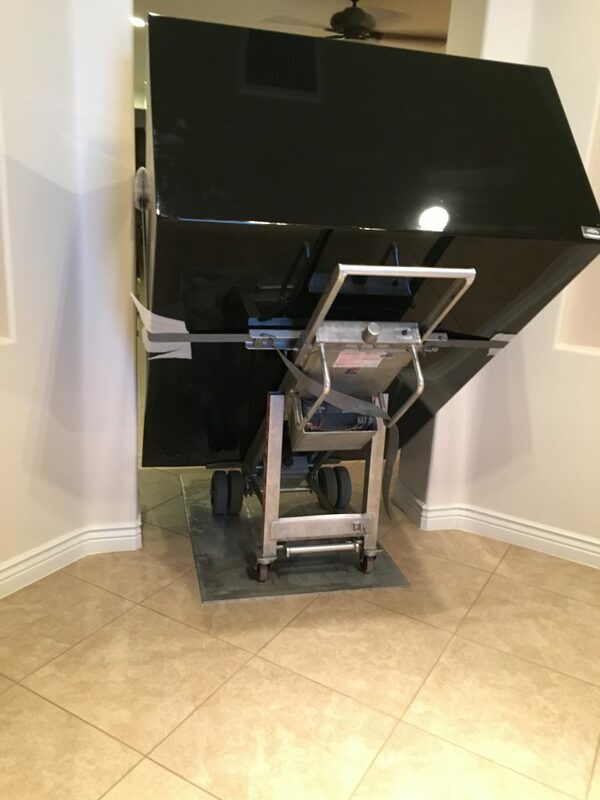 Through the demands of heavy lifting we have opted to buy only the best equipment available to help the task of moving safes and heavy equipment. We specialize in Anything Heavy or difficult moving jobs, up or downstairs delivery or deliveries, back yard on deck or over balcony or through window hoisting moves several floors up. We also do a great deal of commercial moves to and from offices buildings and Warehouses Locations all throughout the Bay Area and surrounding Northern California areas. We also service Lake Tahoe and Monetary land locations. We have motorized equipment that our employees have professional training to operate. Going up stairs or down stairs with something heavy like a safe is life threatening mistake and we would warn you against doing this on your own. First off if a 1000 safe gets out of control its not 1000lbs its 3000lbs with the calculations for the angle and weight if it should go out of control. This is very dangerous work and is not for just any amateur to dive into or beginner to try himself. We move Hottub and Spa items, this also can be very difficult work. We have been called out on jobs to take gun safes off of customer’s body’s or legs, hand or arms been broken or pinched. The Safe Moving Business is no “toy” to mess around with. Moving a safe can be is a science much like a dr. performing surgery depending on the level of difficulty. We however work to keep the cost low by utilizing and keeping our cost at a minimum. We move Anything Heavy up to ten thousand pounds. We are a major mover for Jewelry safes and gun safes servicing in and outside of San Jose, Sunnyvale, Campbell, Mountain View, Palo Alto, Santa Clara. We cover all SF Bay Area and Northern California locations all the way over into Chicago. We have moved thousands of pieces for customers and safes or machinery equipment. We love what we do and would like to continue servicing and helping customers achieve the end in mind to have items in locations of their choice. We can schedule your move, in most cases next day if not same day service. We have trucks and hydraulic trailers that go down to the ground. We have Equipment that has been created built by us and other companies. We have the best safes dollies, so that when we are on the job site we have all the tools necessary to make the job happen safely. We use only the finest materials to put down to protect the floors or stairs from damage. We understand that customer’s house or place of business is his home. We protect the floors from scratches or damage by putting down mason and special rubber padding on the floor or stairs to protect from damage. We would like for the customers to know that moving something heavy can really cause havoc on someone’s back or lifetime mistake of pain and injury. We pay high cost to cover Workers Comp and all types of insurances to protect against damages. We are Licensed and Insured and when you are moving stuff like this, you need to have the peace of mind that you as the customer are not responsible for any injury or liability pertaining to us being and working on your property. All other kids of Restaurant or Manufacturing Warehousing office or Commercial locations buildings. We are discreet in moving items sometimes at night so that neighbors do not know what you’re doing. Like it’s really any of their business anyhow. We move statues, marble, cement, metal, gold or copper structures. We can load or unload trucks for your purchase at any auction house. If you have purchases something on Craigslist or Ebay or Auction around the Northern California then we can pick up your item and deliver to your destination without problem. Whether it be a commercial or gun safe or any equipment or commercial item we can move it for you. So why not give us a call today and let’s get this item moved. We Move All North California: San Francisco,San Jose, Oakland, Daly Sity, San Rafael, Santa Clara, Fremont, Campbell, Cupertino, Sunnyvale, Los Gatos, Los Altos, Mountain View, Los Altos Hills, Palo Alto, Redwood City, Menlo Park, Woodside, Modesto, Santa Rosa, Hayward, Salinas, Concord, Berkeley, San Mateo, San Leandro, Livermore, Tracy, Sacramento, Antioch, Santa Cruz, Napa, Lafayette.